Let the ride to the church be the least of your worries. 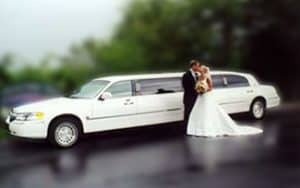 Servicing the Tri-state area, our fleet consists of luxury stretch limousine, antique cars for the bride and groom, vans and buses for the wedding party. With complimentary champagne and soft drinks, we will help relieve some of the stress of your special day and make it memorable.